Who hasn’t heard the saying keeping up with the Joneses. Whether it’s Facebook, Instagram or Twitter we all no doubt have someone or know someone in your network that loves to take pictures, “show off”, their latest purchase and advertise how great their lives are. Though this seems like a modern phenomenon where it now seems that we have to keep up with the Kardashians, the saying originated from a 1913 comic strip. The curiosity within us might wonder how they managed to afford these luxuries and this lifestyle, it’s only natural isn’t it? Issues arise when we start to compare our own lives to these people and question our own life choices that have brought us to we are today. It’s not uncommon to question why we might not be able to afford a life of luxury when we see those that might not be as talented, clever or deserving, but when we devalue ourselves because of it, then this surely must be something we need to think about. In order to make ourselves feel better we might try and emulate those that we see, whether that’s through spending money that we might not have, taking out loans, maxing out credit cards or using catalogues. All of this is only serving to place ourselves into a into financial pit that might take a while to escape from if at all. As well as the financial implications of trying to keep up with those around us, we can’t also forget that of the mental pressures that we put upon ourselves for no apparent reason. I’ve personally known people that on the surface have appeared to be doing very well for themselves and have all the trappings of success and everything we attribute modern success to look like, such as the nice cars, big houses and luxury holidays when they have wanted. Unfortunately for some of these people it has merely been a way of projecting a false success which is unsustainable. Those that I mentioned above are like Swans. If you have ever seen a Swan gliding across the waters they are majestic in their movement across the water but under the surface they are paddling like crazy to get to their destination. These same people have had to go cap in hand to friends and family or in some instances have had to file for bankruptcy. We never really know how those that we are comparing ourselves to are affording this lifestyle that some of us aspire to, but it’s no secret that people live beyond their means. They might be living paycheck to paycheck hoping that nothing is going to change in their lives, to enable them to keep up this lifestyle, but should anything happen beyond their control, this can take its toll. I always find myself frustrated at the TV because someone has suggested that what you buy or make is going to impress your friends and family. First off a family’s love should be unconditional and not based on the that of what you can impress them with and as for friends, if you feel that you have to impress them, are they people really worth bothering about? If you have read any of my other posts you will know that I believe that you are not going to become financially free if your mindset is not aligned with making money, this is easier said than done. I struggle everyday to try and understand my own financial situation and am always looking for opportunities to learn and understand how I can change it. 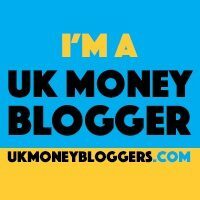 Therefore here are some views that are shared across the internet about what can be done to align your mind to financial freedom.